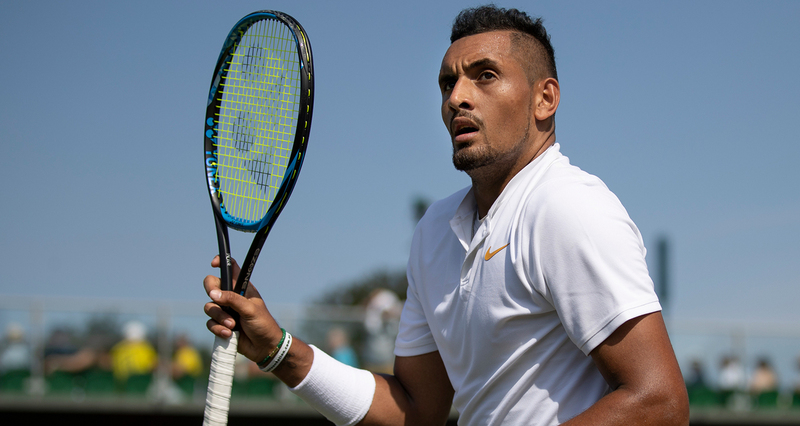 Nick Kyrgios unleashed 25 aces and 48 winners to eliminate Moldova's Radu Albot, 7-5, 2-6, 6-4, 6-2 and advance safely to R2. 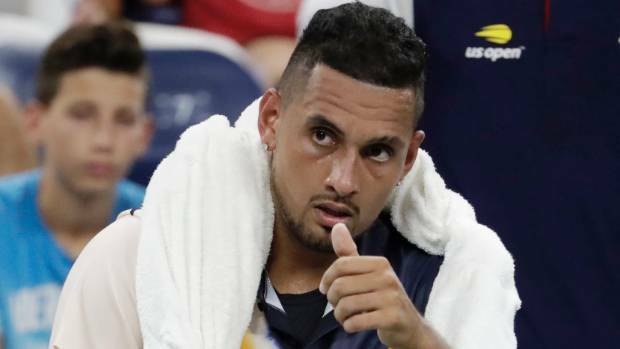 Nick Kyrgios was told to try harder at the US Open on Thursday -- by a frustrated umpire who controversially climbed out of his chair to give the Australian a pep talk. 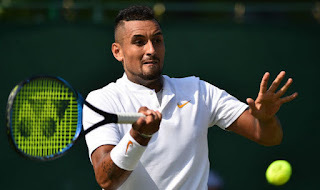 Kyrgios was a set and 0-3 down to Frenchman Pierre-Hugues Herbert on Court 17 when umpire Mohamed Lahyani lost patience with the under-performing 30th seed. Lahyani stood over the seated Kyrgios, berating the 23-year-old. Nick Kyrgios sweated out a 7-5 2-6 6-4 6-2 win over Radu Albot to reach the second round of the U.S. Open on Tuesday then the fiery Australian put the heat on officials to come up with a extreme conditions rule instead of making one up on the fly. "How does it feel to have all the expectations of the #USOpen right on your shoulders?" 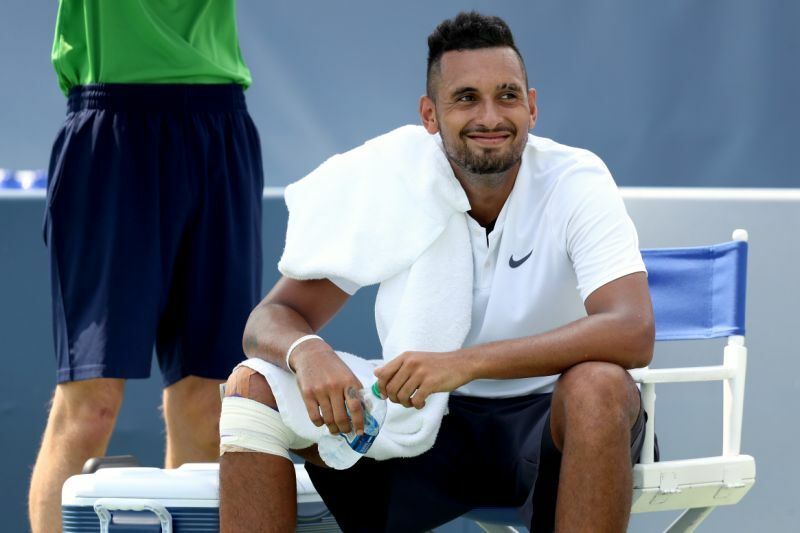 Nick Kyrgios & Jack Sock have never been shy about what's on their mind, so we decided they should get Mic'd Up during their hilarious practice together! Q. How would you sum it up today? 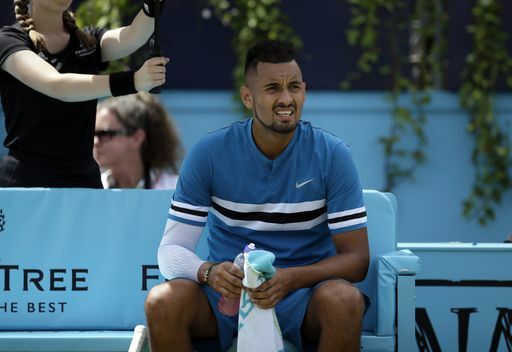 NICK KYRGIOS: Knew it was going to be a tough match. Came out really good. The first two sets, I was pretty impressed with my performance. Obviously third set got a bit rocky. I broke him a couple times, lost my serve, lost focus. Yeah, I mean, I knew the match was going to get tough at a certain stage. I'm just glad I got through it and didn't have to go to four sets. Q. How did you assess that today? 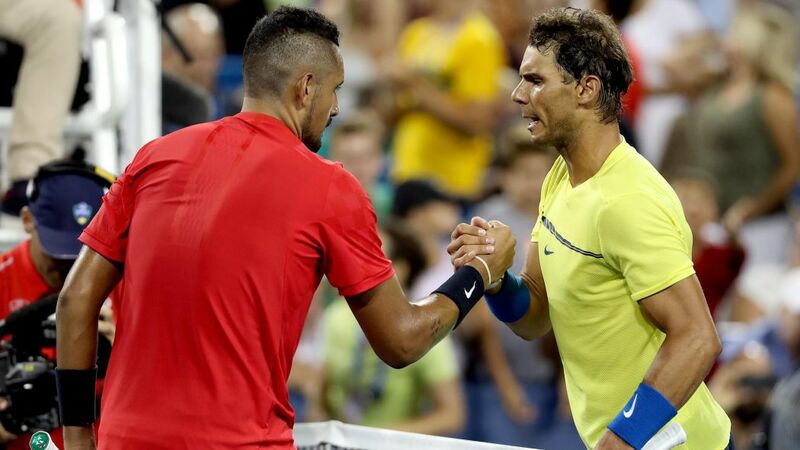 NICK KYRGIOS: Very tough match. I didn't play anywhere near my best tennis today. I served well. But, you know, I struggled to find rhythm. 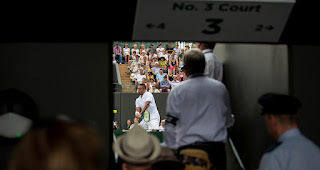 That's what he does so well on the grass court. He served really well today. I thought he played really, really well. 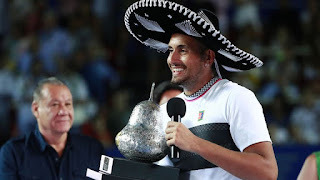 I played him one time on grass a couple years ago, Davis Cup. Today was much tougher than I remembered. As I said, I wasn't playing well from the back. I struggled to find rhythm. A couple, like, nerves. I was a bit nervous going out there today. 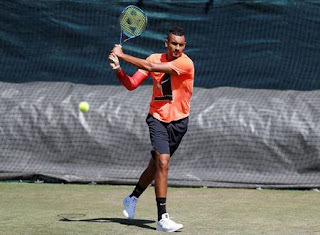 Nick Kyrgios talks about the battle he had on Court 12 against Denis Istomin and how he is feeling "in a happy place" this year. Nick Kyrgios scored a 7-6(3) 7-6(4) 6-7(5) 6-3 first-round win over Denis Istomin at Wimbledon. 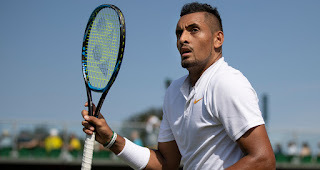 Kyrgios offered some evidence that he can finally let his undisputed talent do the talking. "I feel like I'm one of the guys that can cause a bit of an uproar at this event. 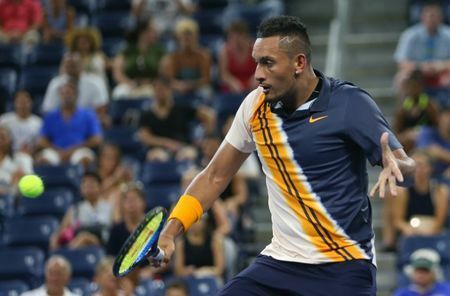 We'll see how it goes," 15th seed Kyrgios, who will face Dutchman Robin Haase next, said. The past two weeks, however, have seen his tennis making the headlines. 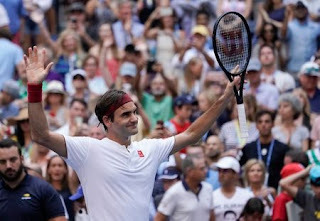 He almost beat eight-times Wimbledon champion Roger Federer at the Stuttgart grasscourt tournament and a week later he served almost 100 aces en route to the Queen's Club semis.